What is the healthiest potato? 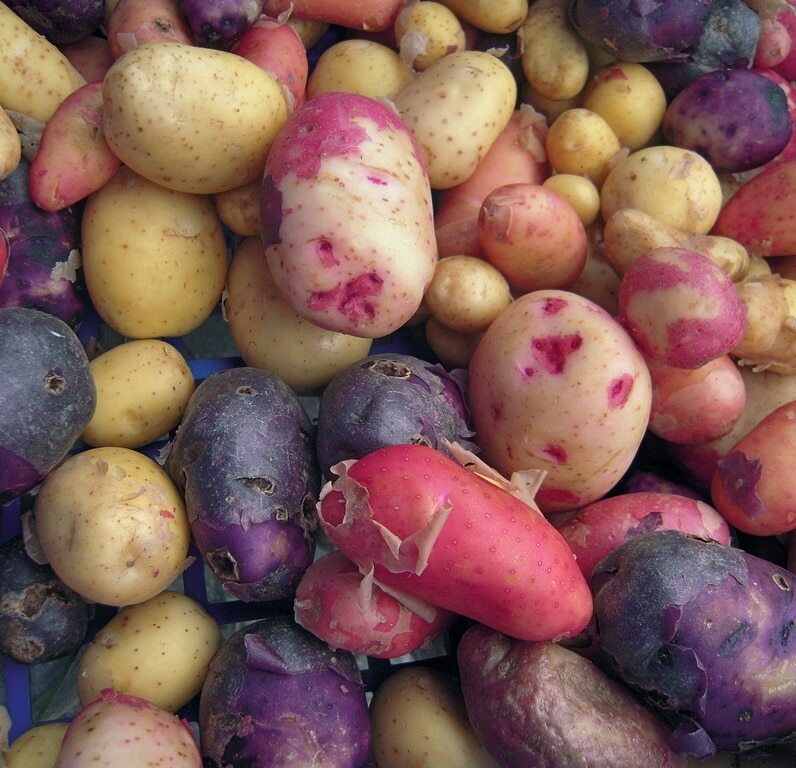 What’s the verdict on gold, red & purple potatoes? Ionestamot / Originally posted in Toxins in Cooked Potatoes? The healthiest potatoes are probably sweet potatoes (see my video about sweet potatoes), but if you are going to eat plain potatoes, the varieties with colored flesh (not just skin) do appear healthier. Last year a study found that purple potatoes appeared to suppress both early and late stage human colon cancer cells in vitro, but only if they were fresh. After being in storage a few months their anti-cancer properties diminished. Finally, another study published last year (and this one available full-text), found a trend towards lower inflammation in men eating purple potatoes than white, concluding “Pigmented potato consumption reduced inflammation and DNA damage in healthy adult males. This offers consumers an improved nutritional choice in potato consumption.” See my video Anti-Inflammatory Effects of Purple Potatoes. Purple sweet potatoes may offer the best of both worlds, as suggested in an in vitro study last year on human fat cells that suggested anti-obesity, anti-oxidant, and anti-inflammatory benefits.